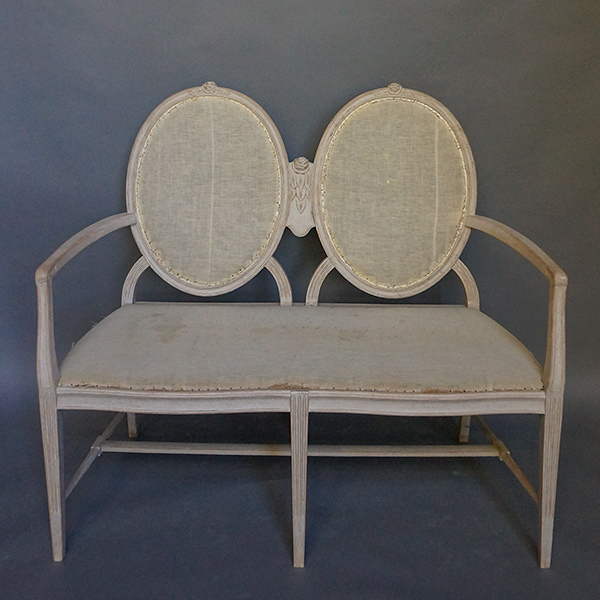 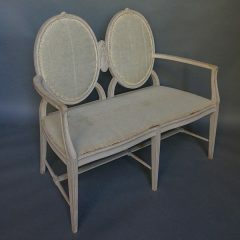 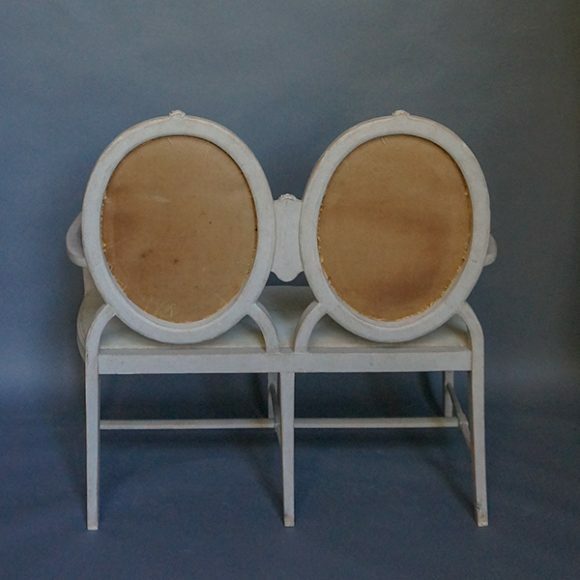 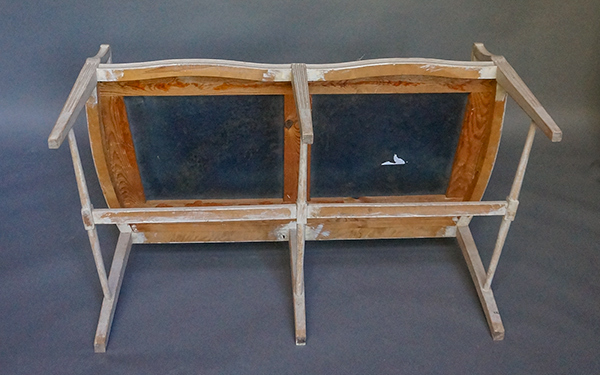 Swedish settee in the Gustavian style, circa 1900, with carved roses at the tops of the upholstered oval backs and on the connecting center panel. 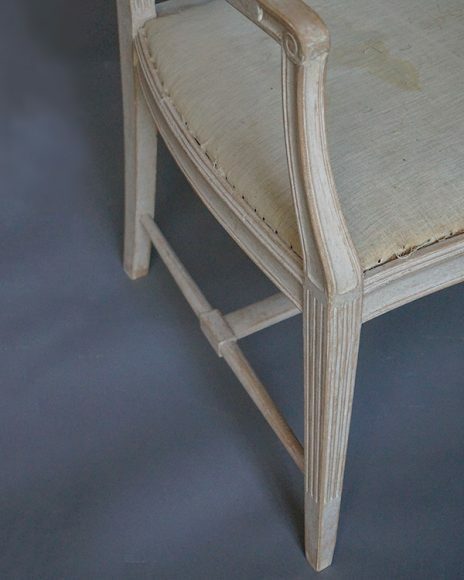 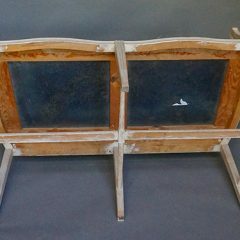 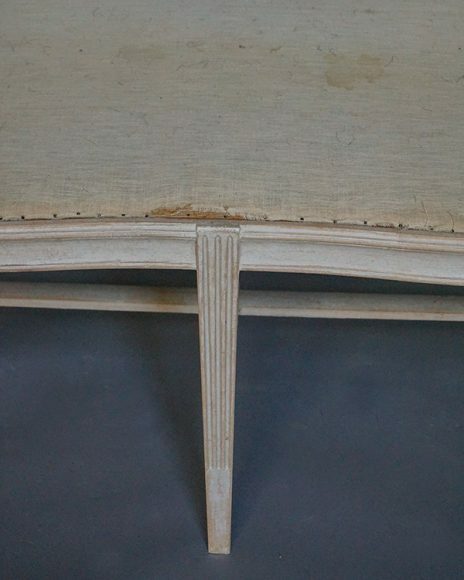 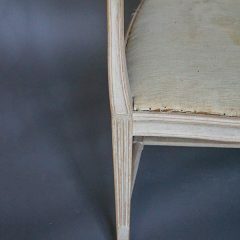 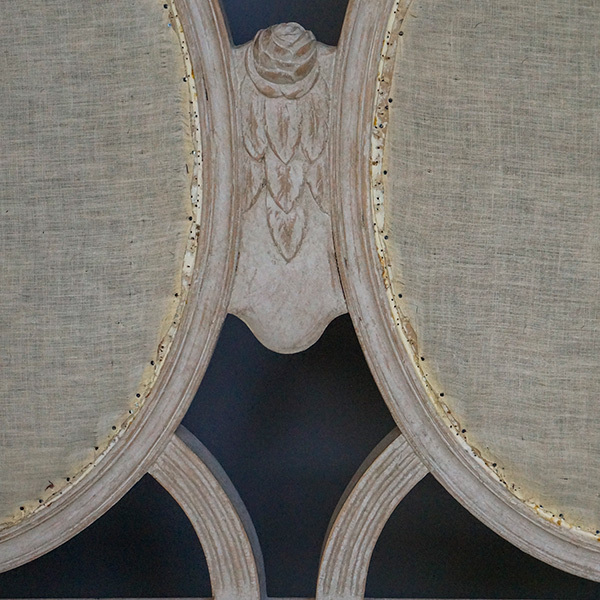 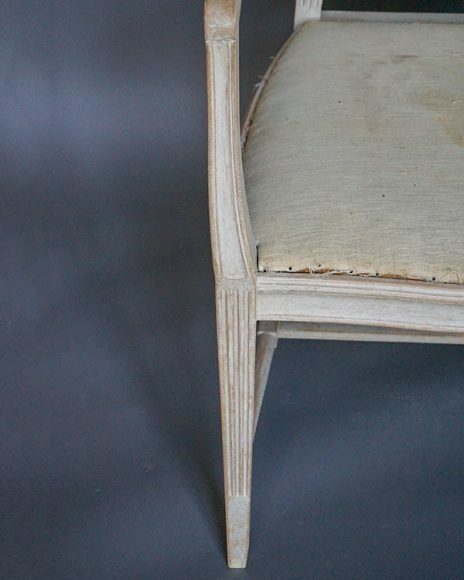 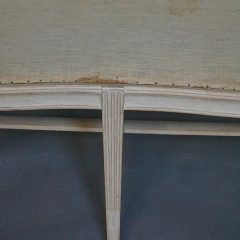 The front rail of the seat has a graceful double curve, and the other elements are incised and reeded. 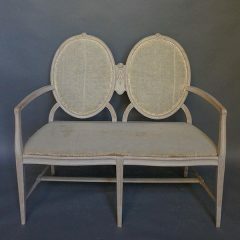 An unusual, charming piece.